Panelists on MSNBC’s Morning Joe raised concerns on Wednesday morning about the repercussions of President Donald Trump’s personal relationship with Russian leader Vladimir Putin and Saudi Arabia’s Crown Prince Mohammed bin Salman. GOP Senator Lindsey Graham has been one of the strongest critics of Saudi Arabia and the crown prince in the wake of Khashoggi’s death. Following a closed-door briefing between CIA Director Gina Haspel and senators on Tuesday, the Republican from South Carolina stood firmly in opposition to Trump’s continued support of the Saudi leader. "I cannot support arms sales to Saudi Arabia as long as he’s in charge of this country,” Graham told reporters. “I left the briefing with high confidence that my initial confidence is correct,” he added. Khashoggi, a Saudi citizen and resident of the U.S., was killed by a gang of Saudi agents after he entered the kingdom’s consulate in Istanbul at the beginning of October. Turkish officials have said that the journalist was dismembered with a bone saw after he was killed. 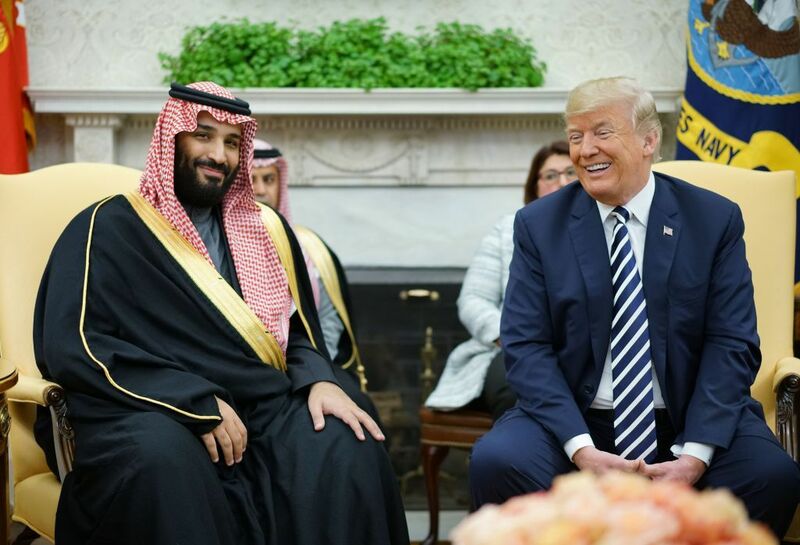 Despite the slaying being linked to the crown prince by intelligence reports, Trump has hailed the kingdom as a “great ally,” refusing to take action against the Saudi leadership. Graham, as well as a number of Republican and Democratic lawmakers in Washington, have a decidedly different perspective, slamming the Trump administration’s response. In his Tuesday comments to reporters, Graham highlighted the grizzly details of the killing. "There’s not a smoking gun, there’s a smoking saw,” he said. “Donald Trump is compromised here politically,” Morning Joe co-host Joe Scarborough emphasized during the Wednesday morning discussion. “The Senate is going to hold him accountable,” he argued.